If you have a pet dog, you are already aware of the incredibly strong bond people build with their four-legged friends. 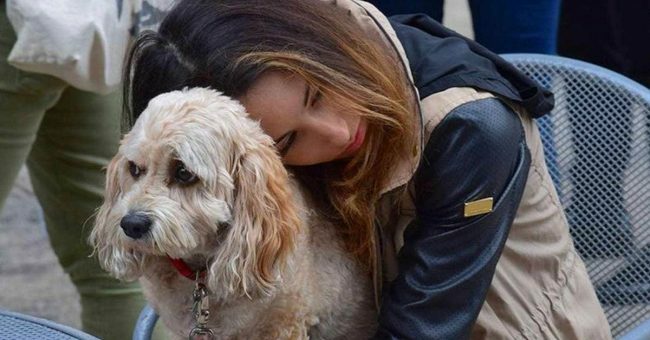 Dogs are actually considered as a member of the family, and studies show that grieving a pet is similar to losing a close relative, and sometimes, even more difficult. Losing a dog is a great loss in life since people tend to share loving memories with them. Researchers have found that the connections between people and their dogs are similar to important friendships in life. The time spent and the physical touch stimulate the release of the same hormones in the brain as when we are doing that with humans. A pet might be seen as a symbol of a child, sibling, best friend or long-term companion. Approximately, dogs and cats live about 13 years, which is enough for them to enter your heart, and become a member of the family. Therefore, the death of a pet can be a truly traumatic experience and create a large void in the hearts and lives of its owners, just like in the case of a loss of a close family member or friend. We project onto our beloved pets our thoughts, emotions, and ideas, meaning we see ourselves in our animals. The common belief that “owners come to look like their pets” might not be true literally, but it can definitely be a figure of speech indicating that our pets are our self-objects. An animal friend offers an incredibly strong love, acceptance, and joy, and their love is nonjudgmental, unconditional, and pure. Therefore, their loss causes a huge emptiness. Also, pet owners usually start their day with a hug with their dog, spend their days with it, and say a goodnight every night at bedtime, and the routine they lack when the pet is gone is also very sad and stressful. Owners usually feel guilty and responsible, since their pets are completely dependent on them, and the life of the dog is in their hands. In certain situations, they have to make a difficult decision, for the sake of their pet, but it can be extremely painful. Yet, even though the degree of grief can be the same as when losing a dear person, there is no cultural grieving process for pets, no ceremonies, flowers, support, or condolence cards, and others do not consider the loss of a pet something one should grieve over. Therefore, you should find understanding for anyone who grieves his lost dog, as it can be really traumatizing and stressful.